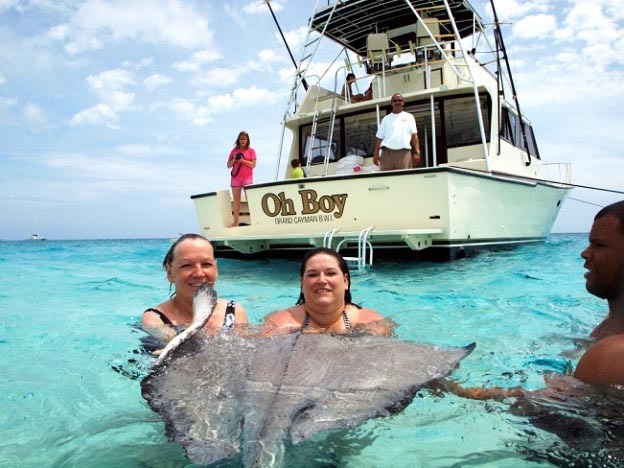 The most popular snorkel trip in the country we set out from Governor's Harbour into the North Sound to the world famous Stingray City Sandbar where you actually stand in waist-deep water to hold, pet and feed the stingrays. 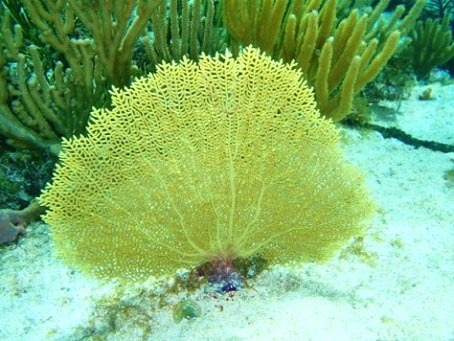 A myriad of coral and fish combine for a spectacular kaleidoscopic exhibit at the Coral Gardens (also known as the Aquarium), one of two snorkeling sites that you will visit, the other being the Barrier Reef (or Fisherman's Reef as it was formerly known) which also offers a fantastic orchestration of fish and coral. 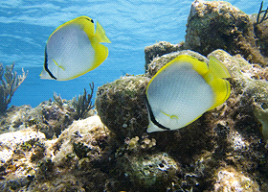 Trip times are 10AM – 1PM and 2:30PM – 5:30PM local times and cost USD $45.00 per adult (12+ years) and USD $30.00 (4-11 years). Infants free (3 years and under). 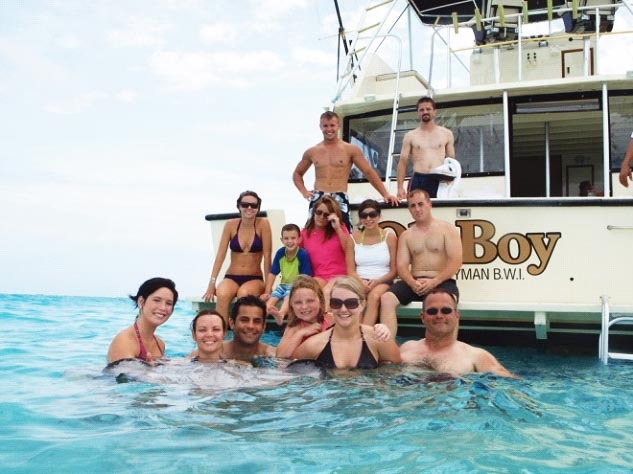 Inclusive of Stingray City Sandbar and one snorkel site (our captain will choose the site based on the amount of snorkel activity), these snorkel excursions operate from 8:30AM - 10:45AM, 11:15AM - 1:30PM, 1:45PM - 4PM and the price is only USD $40.00 per adult (12+ years) and USD $30.00 per child (4-11 years). Infants free (3 years and under). 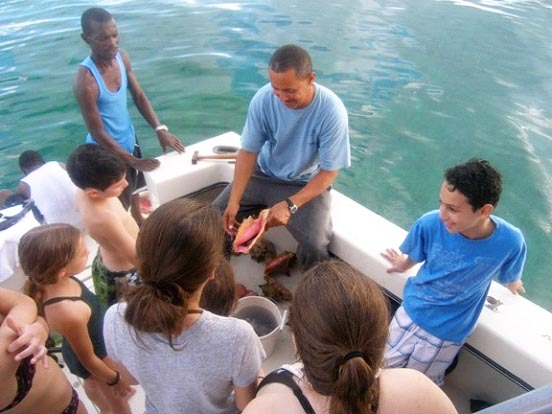 Full day trips are the half-day 3 stop trip, a fresh Caymanian seafood lunch on Kaibo Beach (next door to Rum Point) and during season (November to March) we also offer an additional conch dive stop. Now, this is exciting! 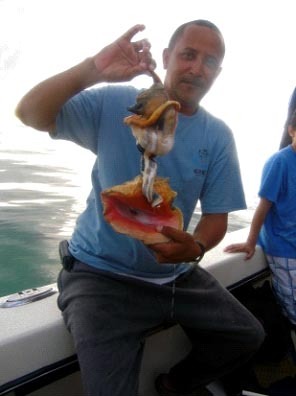 You can go overboard with the mate to free dive the very conch that we will use to create an appetizer of marinated conch, served fresh onboard. Lunch is Mahi-mahi and plantains baked Cayman style flavoured by West Indian and other sauces with side orders of potato salad, tossed salad, rice and coconut bread.